As a kid i used to call this “yellow dosa” because of its colour. Its my unclces favourite dosa as breakfast. 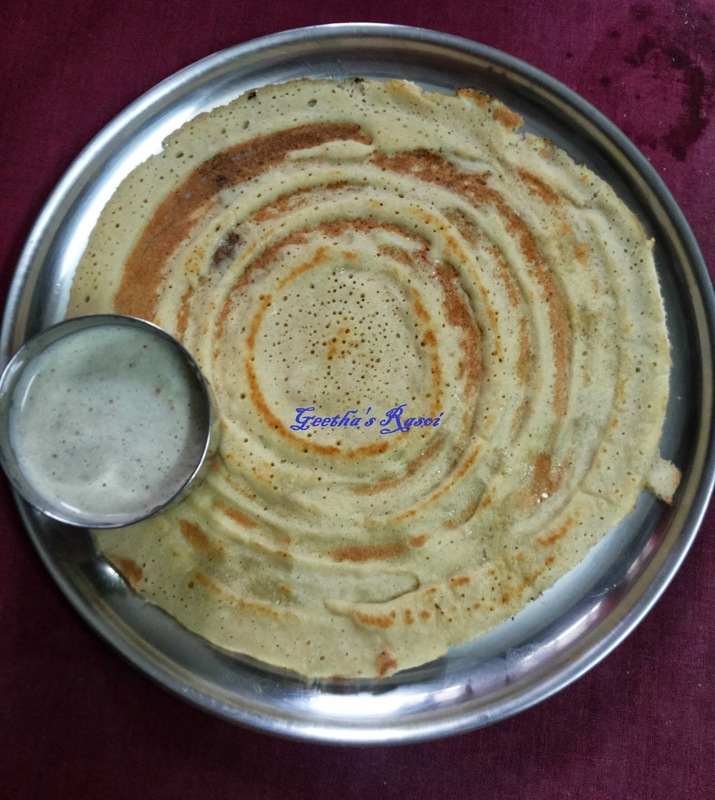 I dedicate this dosa to my Santabappa. This dosa doesn’t need fermentation. Soak urad dal and channa dal for 4 to 5 hours then grind into smooth paste add salt. Heat the dosa tawa and thin and crispy yellow dosas. Yummy yummy with any chutneys.